Emery & Webb is a fifth generation family insurance business with ten offices and over 95 trained insurance professionals serving clients throughout the Hudson River Valley in New York, upstate New York, New England, New Jersey, Pennsylvania and across the entire United States. 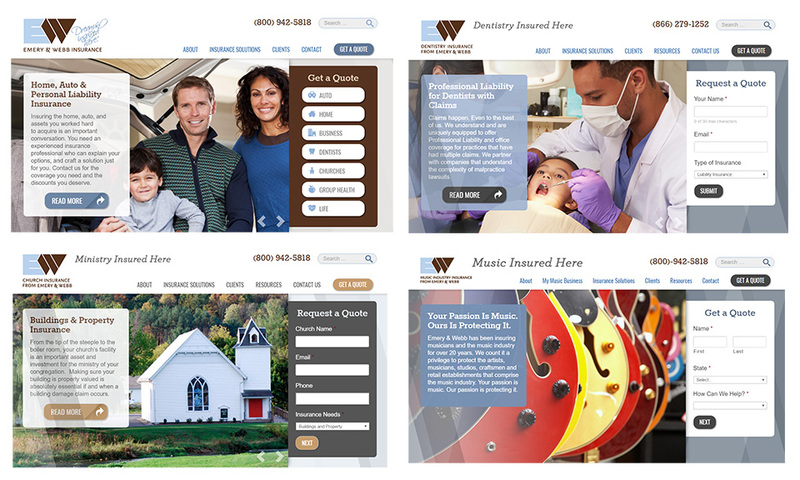 Refresh created four websites for Emery & Webb’s array of insurance solutions. Each site is built off a similar theme to provide a consistent user experience and guide users to the main actions of getting a quote and contacting their branch office. 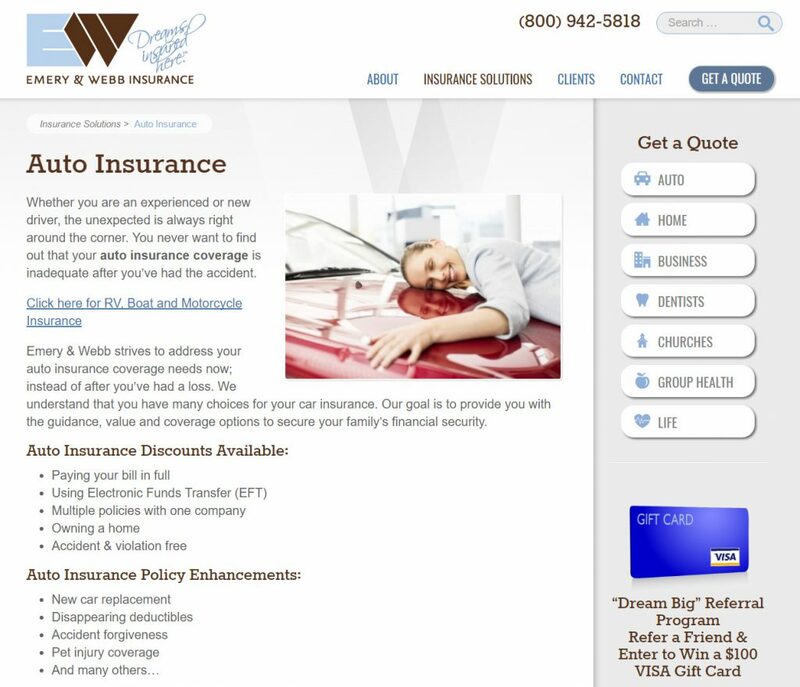 The sites were designed with a principle goal of providing quality quotes to new customers. Users are never left wondering how to fina quote for a variety of insurance services.